Kids who want to explore careers in science can get some help through a program that just got a big boost. 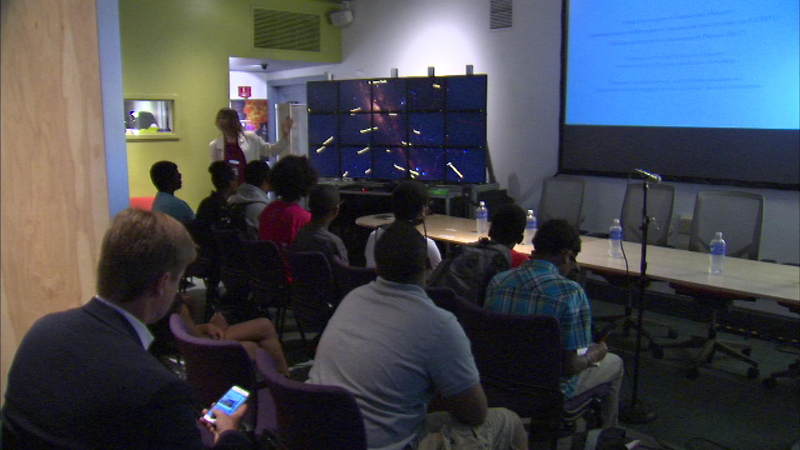 CHICAGO (WLS) -- Kids who want to explore careers in science can get some help through a program that just got a big boost. Former NASA astronaut Captain James Lovell spoke with students at the Adler Planetarium. Senator Mark Kirk was also there to talk about the $40 million that has been restored to the Space Grant Program. It puts money into education projects to encourage kids to study science, technology, engineering and math. "This is where you get your inspiration to, as you grown up and go to college you get to be real adults that can contribute not only to Chicago but to the world," Lovell said. Almost 500 students in Illinois have received scholarships and internships through the program over the past five years.